About the book | The Joy of Cancer "A Journey of Self-Discovery"
In April of 2006, Olga Munari was at the end of her rope. Unhappy with her life and her marriage, Olga confessed to her personal trainer that she wished something bad would happen to her as a means to create change in her life and her relationship. The following Monday, she was diagnosed with breast cancer. Kim Mecca narrates the moving story of how Olga bravely faced a life-threatening diagnosis and used it as an opportunity to create a sacred bond with her children, adopt a positive attitude, and give back to others. As Olga began her journey through surgery and subsequent treatment, she soon discovered that her healing was not only physical, but also emotional. She learned to create joy from her immense challenges. As Mecca details Olga’s dedication to fundraising, her decision to not change her life because she had cancer, and her devotion to her family, she provides an unforgettable glimpse into all the ways Olga walked through the darkness of her disease and into the light of healing. 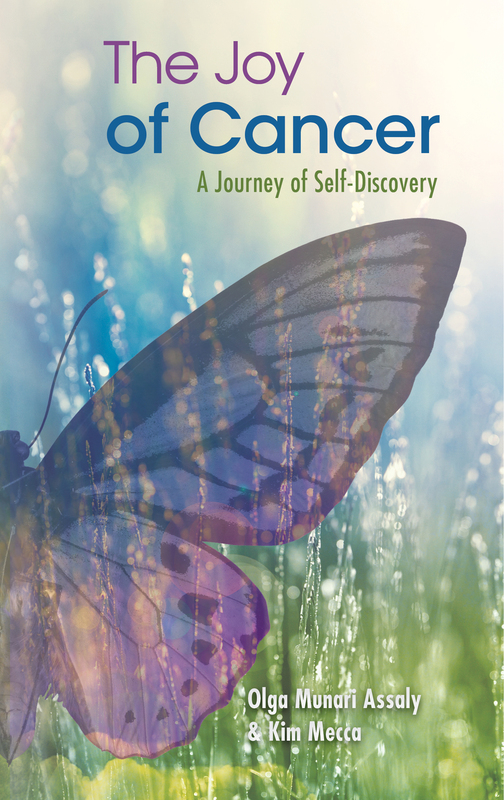 The Joy of Cancer tells the inspiring story of how one woman used her breast cancer diagnosis to slowly transform, break free of her cocoon, and become the beautiful butterfly she was always meant to be.